← How do I change footnotes to endnotes in Word? Not exactly, this is in respect to premises, I know i eventually want to have a store presence but it’s not as easy as just giving up the day job and walking in to your own store front, there’s a lot of planning and contingency to sort out in my head. I was also trying to determine what my biz would look like and how it would operate: it’s taken me about a year to finally figure this out, as the business model kept changing, so now i have a clearer picture, I can head towards that goal, of which the first thing is to rebrand and bring both elements of the business together (the celebration cakes and cupcakes), so I will soon be known as Kake and Cupkakery, and this should be complete in the new year. In my last interview, I know I said I wanted my cakes to be featured at a major event, and they were: I was one of the independent food producers who was chosen to be part of #FutureFoodies, a huge social media food fair held this summer at Hotel la Tour, put together by Dine Birmingham, which was an amazing event to be part of, I made some great contacts and it gave me great exposure. I am also though to the final of the National Cupcake Championships, to be held at the NEC in November, and Mary Berry will be one of the judges. I am just a little excited, as I made it through 300 bakers to be 1 of 47 in the final! I am still working the 9-5 job so that has stayed the same. I am just as busy, if not more so. I seem to be gaining new customers all the time, as well as more established customers who not only continue to order cakes from me but are happy to recommend me to others, and customers, friends and family are all rooting for me to succeed, which is something I’m overwhelmed by! 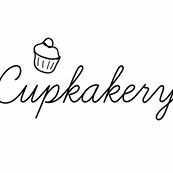 I am using social media to constantly promote my business and have a fortnightly promotion called “sit back kick back cupkakery cupcake Friday”, which is popular and really engages my customers. I will also be holding some workshops in conjunction with a friend of mine over at Purple Bear Coaching for people who want to start a food business from home, whether you are a baker, jam maker or want to start a supper club: it’s any foodie biz we are aiming towards. We decided to run them because we both have a wealth of hospitality experience as well as both starting our own business, so we will be sharing our knowledge. I haven’t done anymore cupcake workshops but this may be something I will explore more at a later time. Oh, and I’ve also started writing a blog called Adventures in Kakeland. I have learned that the path of running a small business never runs in a straight line and there is no shame in admitting when things don’t go to plan, so always be prepared to adapt and be flexible. Also I need to allocate myself more time, plan a bit better and try to get a better work/life balance, as I have a tendency to just keep going and not giving myself enough downtime, which isn’t good for me or the business. At times it seems to be the business running me not me running the business, but i can imagine many micro/small business owners can relate to that. Never give up, you will have times when its difficult, the tiredness takes over, or motivation is lacking. Step back, take a bit of time out, regroup and go back in. Network face to face as well as on social media with people in and separate from your industry, because you never know where the next contact will come from, as well as getting support from other like-minded individuals. if you need help, ask for it, there is always someone willing to give helpful advice or a helping hand. Remember to enjoy it. I absolutely love what I am doing and have never been more determined to succeed! In a year’s time, I will be writing my update sipping on a coffee at a table at that cute little Bakery/cake shop called Kake and Cupkakery. I have no doubt that you will! My worst and most tiring year was the last year I was working part time at my day job and running the business around it. Once I was full time, things got a lot easier and this year I’ve certainly done better at clawing my work life balance back into shape. Let’s look forward to a pic of Yvonne at that cafe table next year! How was she doing in 2014? You can find Yvonne’s website at www.cupkakery.co.uk, contact her by email, visit her Facebook page, or phone her on 07837 876604. And the blog is here.